Every homeowner is constantly thinking of improvements they’d like to make to their house; however, there’s always the thought of whether or not it’s a smart investment. Well, if you’ve been pining for a fireplace in your master bedroom or are sick of your outdated kitchen appliances, rest assured that the renovations below will appeal to future buyers — and make your living space a little more lovable for you. Whether you have one or none, adding another fireplace to your home will only increase its coziness quotient. Especially if you live in a colder climate, there’s nothing so inviting as a roaring fire in the kitchen, living room or bedroom. If you live in a warmer climate, consider an outdoor hearth to extend your living space outside on cool evenings. This upgrade will require a little bit of saving, but the price tag is worth investment. You’ll almost always get your money back by creating an attached bathroom to the master suite – even if you have to add on to the house. For some reason, people really enjoy having this private space to which they can retreat all to themselves. If it’s time to replace the carpet, consider installing hardwood floors. You could also choose the usually more cost-effective options of hardwood laminates or engineered hardwoods. Wood floors are typically easier to keep clean and don’t show as much wear from pets. You’ve been waiting for your old fridge to die and your outdated oven to burn out. Well don’t worry about making the investment. Buyers love the industrial look of stainless steel, so your upgrade will most likely pay off. And, you’ll get to enjoy your new appliances until then. 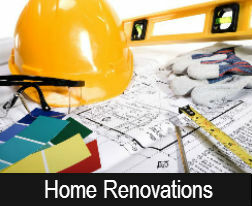 If you’ve considered making one of the above renovations to your home, then it’s time to get serious and look at your budget. If you’re a little hesitant, then you can always ask a real estate agent to evaluate your home to determine if it’s a solid investment. Please call your trusted real estate professional if you have any questions.